Posts are to be filled up on Contractual basis through a Walk-in-Interview on 5th August, 2013 from 11:00 am onwards at RPC Hall, NIT Silchar. Medical Officer (Homeopathy/Ayurvedic) (Part Time) BHMS from a recognized Medical Institute or its equivalent. Preference will be given to persons with P.G. degree. Interested candidates are to bring their complete bio-data along with photocopies of all testimonials, one copy of photograph and all original documents at the time of Walk-in-Interview. After scrutiny of documents, only eligible candidates will be allowed to appear in the interview. Retired Persons are also eligible. 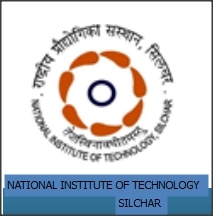 "The vision of NIT Silchar is: establishing unique identity by development of high quality human and knowledge resources in diverse areas of technologies to meet local, national, and global economic and social need and human society at large in self-sustained manner. " The mission of NIT Silchar is to train and transform young men and women into responsible thinking engineers, technologists and scientists, to motivate them to attain professional excellence and to inspire them to proactively engage themselves for the betterment of the society.